With our scientifically backed/variety packed workouts for all skill levels, our family friendly atmosphere, our track record of excellent client results, and the fact that we actually have fun in the process of working out, you get a training experience that is truly second to none. Opened in the summer of 2015 and has been serving the residents of Elmhurst and surrounding western suburbs faithfully and tirelessly ever since! Ever since my formative years all the way through my years as a college athlete….I have always been passionate about fitness, athletics, and anything related to how the human body works. Following my college graduation with an Exercise Science degree, I found my true calling as a personal trainer. Whether it was receiving a text saying “My favorite jeans fit again, OMG!”, a friend calling me saying he hasn’t lifted that much since Junior year of college football, or receiving a big hug from a client who finally got off their blood pressure medication and could run around with their kids again. I was hooked to the feeling of knowing I made a difference in someone else’s life. I take that sense of responsibility/purpose and truly dedicate myself to helping my clients achieve their goals. So whether you are trying to lose weight, get back that athletic physique you had during your prime, or simply are just looking for a more structured workout/nutrition plan to take the guess work out of the process, we are here to help. I have used the same scientific nutrition principles and training concepts to successfully help 100’s of clients of all shapes and sizes over the years. So if you are tired of yo-yo dieting, guessing which workouts/nutrition plans are most effective for your goals, or simply are just too busy to sort through all the literature out there on nutrition/fitness yourself, reach out to us and give us a call. Hope to hear from you soon! When I am not in the trenches trying to create “the perfect workout” or “most effective and safest fat loss cleanse”. I love hanging out with my wonderful family, working out with friends, and spending time with my better half Stephanie. Strength Training for Business Men, Fat Loss for Men/Women, Young Athlete Development, Speed Training & Development, Weight Lifting Technique & Program Formulation, Kettlebells, TRX Training, and HIIT (High Intensity Interval Training). Kris’s journey with health and fitness has been a life long endevour. A three-sport high school athlete, Kris was blessed with the opportunity to play college football at the next level. Family obligations forced him off the field, but he quickly transitioned from harassing quarterbacks on the field to coaching them from the sidelines. Kris finished up his degree in Secondary Education at Western Michigan University while acting as a varsity assistant coach at high schools in Schoolcraft (MI) and Benton Harbor (MI). Upon graduation, he continued to coach as the head JV football coach at Benton Harbor for a season and now calls the games over the radio on Friday nights in the fall. It takes a special kind of person to be a great motivator and coach. You have to have patience, invest yourself in others success, and consistently must go above and beyond to help people achieve their goals. These are skill sets Kris has put to use as a football coach, a leader of of his church’s youth ministry and now as E-Town’s Client Relations Specialist. Kris understands that for people to find spiritual and mental health, physical health is key. It’s his goal to help others find the balance in their life that they’ve always desired and to help push them beyond what they thought possible. When he’s not in the office, Kris loves to spend times outdoors with his lovely wife Alecia. They love to hike, kayak, and go whitewater rafting. If you spend enough time with Kris, you’ll soon learn that he is both a self-professed avid reader and board gamer. Kris is the go-to guy. Whether it is being an accountability partner to members of the gym, managing social media, shooting over a nutrition plan, or scheduling…Kris is there to take care of everything behind the scenes to make sure the ship sails smoothly and clients receive the results they desire. Jay’s interest in coaching and fitness came about when he started coaching little league baseball several years ago. During this time he began running and training on his own to be a good example for the kids. Eventually he started to take interest in coaching people of all ages because he really enjoyed helping people set and achieve physical and athletic goals. When Jay isn’t out on the road running or in the gym working out, you are likely to find him spending time with family and friends, probably talking incessantly about his favorite sport…baseball! Jordan has been into health and fitness from an early age. He excelled in track and soccer from grade school all the way through college….and eventually even played pro soccer over in Sweden! 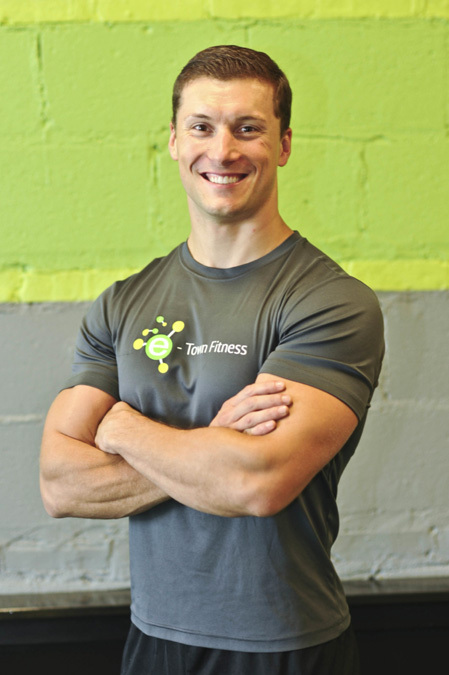 Jordan earned his bachelor degree in Exercise Science and has worked at numerous different physical therapy clinics and gyms throughout the years. 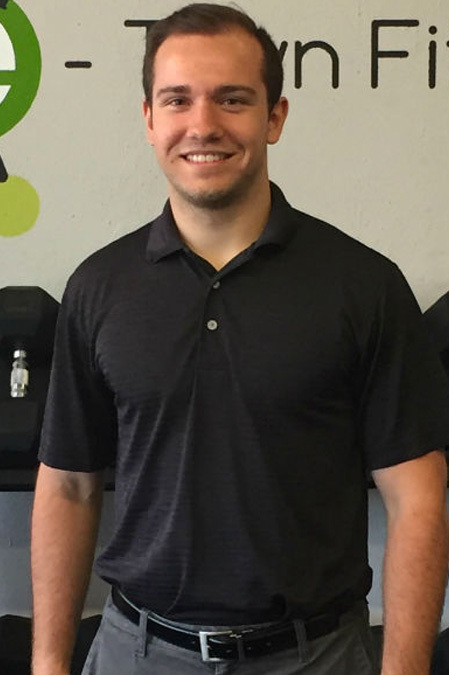 Jordan enjoys seeing his clients achieve results whether it’s helping them reach their target weight, setting new personal best in the weight room, or helping them increase their mobility and decrease their pain with his physical therapy background as well. He is a strong believer that a healthy life leads to a more enjoyable life and he loves helping others master a healthy lifestyle that will serve them for years to come. When Jordan isn’t bringing it in the studio or frying your abs with a 6-Pack finisher he enjoys still playing soccer competitively and spending time with his wonderful girlfriend Brittany. Men/Women Small Group Training, Fat Loss for Men/Women, Young Athlete Agility and Speed Development, Olympic Weight Lifting Technique & Program Formulation, HIIT Training, and physical therapy/rehab functional training to restore proper function and mobility. Jon has “been around the block” as they say in the fitness world. He excelled in track and football all the way up through the college ranks. He was an amateur body builder, a bodybuilding/figure prep coach (with the majority of his clients winning their competitions! ), a head university level strength and conditioning coach, and was a head personal trainer at several gyms while he earned his B.S. in Exercise Science and M.S. in Exercise Physiology degrees from Carroll University in Wisconsin. 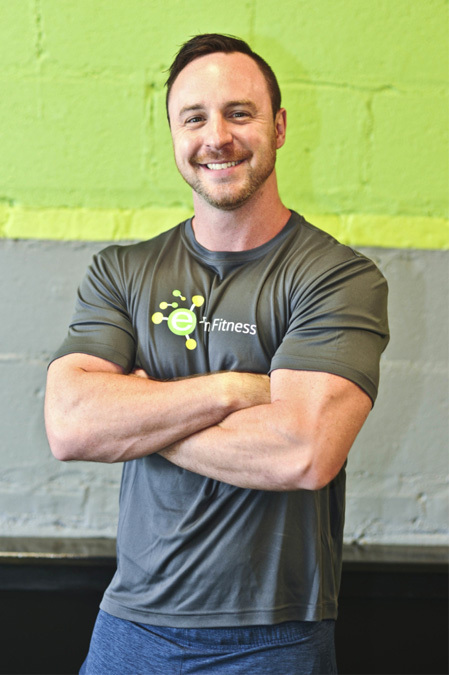 Jon enjoys instilling passion for health and fitness in others and is a master motivator when it comes to helping people level up their lives and their goals. 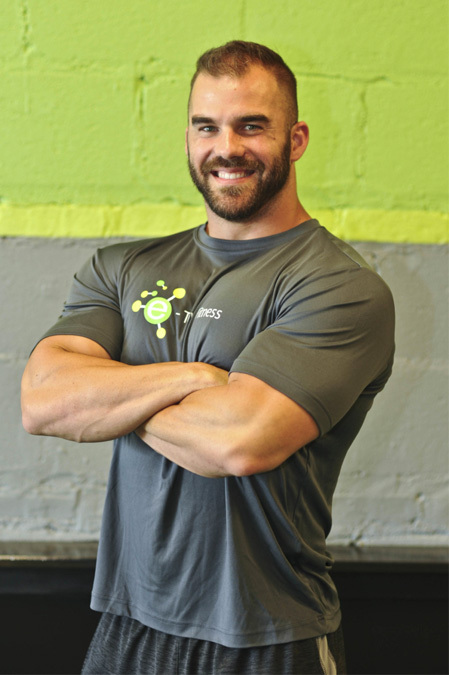 Whether it is taking first place in a figure competition, crushing new weight lifting PR’s in the weight room, or helping a client achieve pain free range of motion again, Jon’s enthusiasm and vast knowledge base will help you get to where you want to be. When Jon isn’t bringing it in the gym he enjoys relaxing with friends and family, cooking (perfecting his protein pancakes), and getting better at Frisbee golf. Athlete Development, Bodybuilding/Figure Prep Coaching, Speed Development, Strength and Conditioning, Weight Loss, Post Rehab Mobility/Flexibility, HIIT Training, Exercise Programming, and Weight Training. 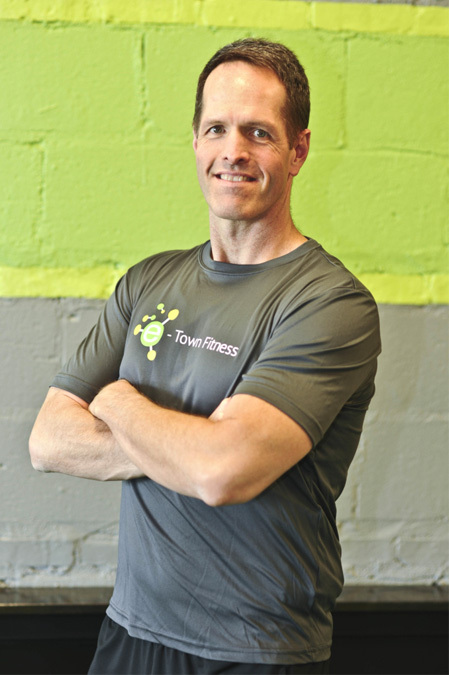 Dan became increasingly interested in both fitness and nutrition during his high school years where he was athletically involved with football and baseball. He’s always had a love for sports and will continue to pursue a career in the athletic field in the future. He fell in love with nutrition because of how it allows us as people to transform our bodies into what we want. 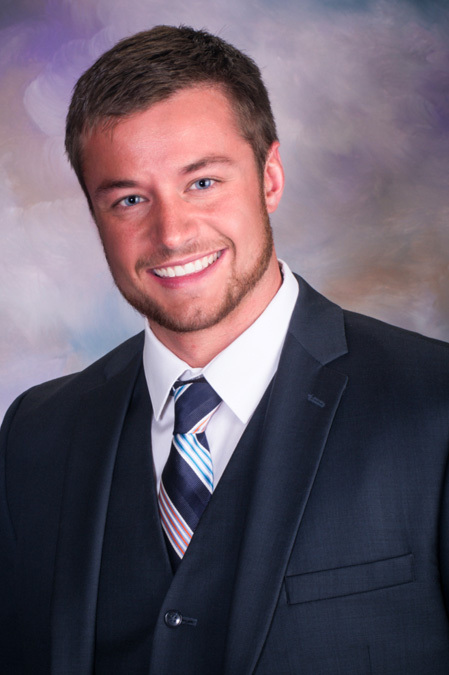 He earned his bachelor’s degree in Nutrition & Dietetics from Bradley University and recently passed the national exam to become a registered dietitian nutritionist. He finds joy in working with people to optimize their nutrition status to promote an overall healthy life. Whether your goal is to lose weight, gain muscle, or just feel better… he is there to support you along the way. He uses evidence based research to support the information and advice provided. In his spare time Dan likes spending time outdoors, admiring classic muscle cars, listens to various kinds of music, and enjoys spending time with family and friends. Diabetes, Heart Disease, Weight Management, Nutrition Counseling, Meal Planning.